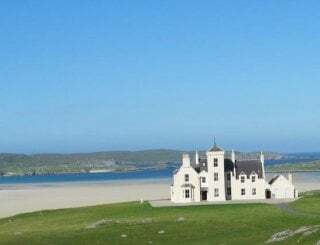 Grogarry Lodge, Isle of South Uist, Outer Hebrides, Scotland, sleeps 6-16 in 8 bedrooms. 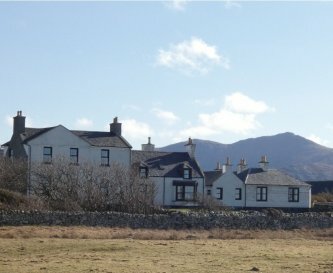 Grogarry Lodge is a Nineteenth Century hunting lodge on the island of South Uist in the Outer Hebrides. 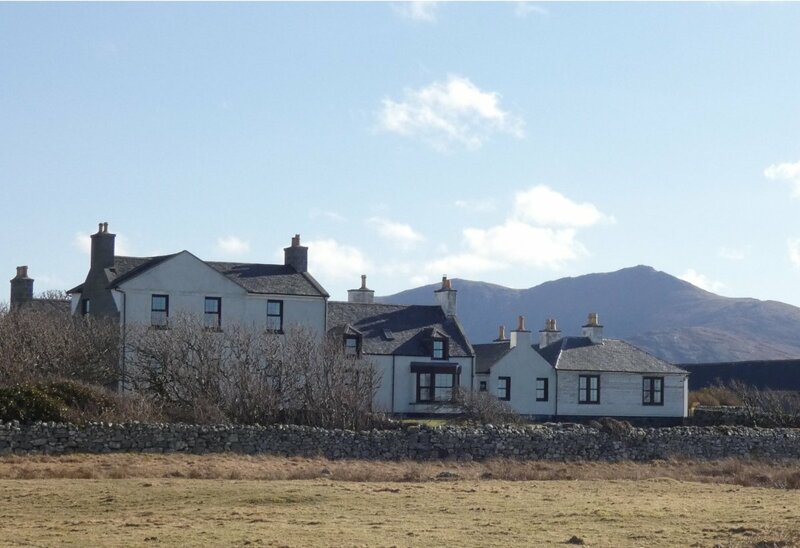 The Lodge sits between the majestic Ben Mòr and 20 miles of blinding white sand beaches. 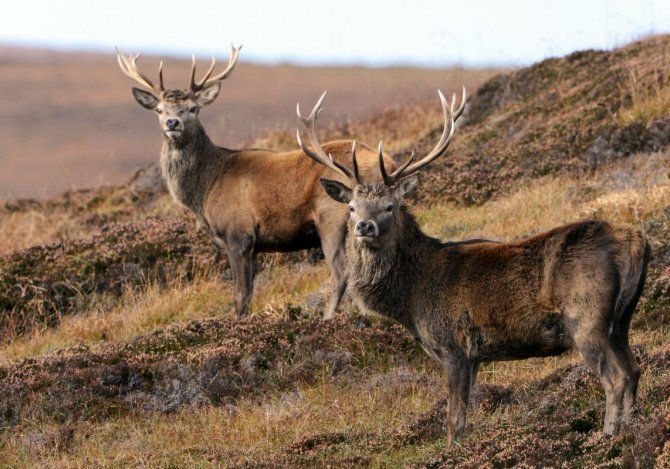 Eagles swoop and soar from the towering 2,200 ft peak over hills and lochs where a wild herd of pure Red Deer graze on the heather. 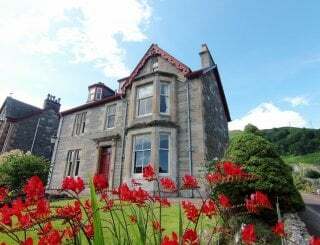 Accommodation is offered on an exclusive use and fully serviced basis that is difficult to find in the modern world, for parties of 10 to 16 people. 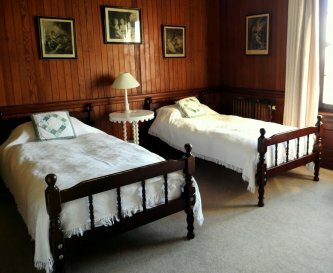 It can also be hired as self-catering accommodation or booked for large functions and family events. For smaller groups, there is non-exclusive use. 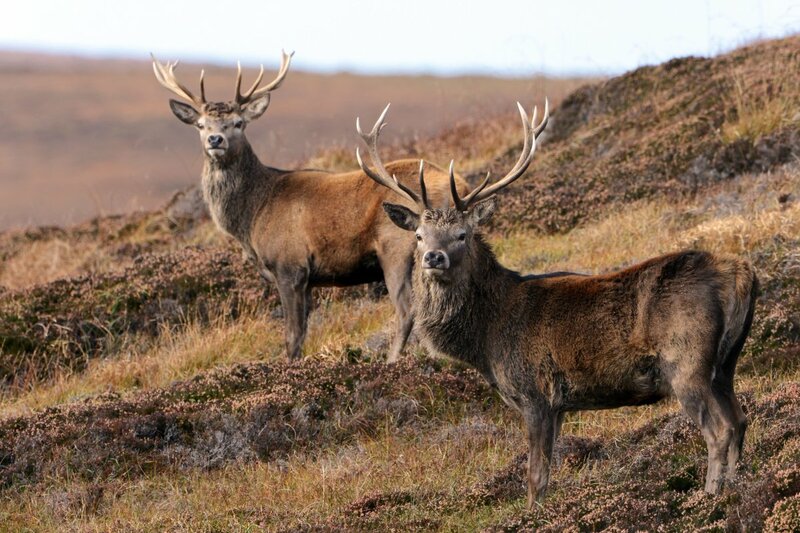 Surrounded by the breathtaking Outer Hebridean landscape, there are few better locations for an unforgettable group holiday. 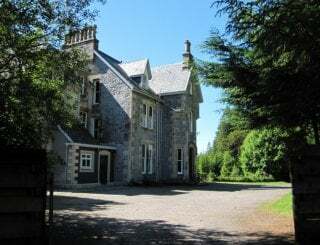 Though the precise date of construction is not known, Grogarry Lodge was originally built by the Laird of the Long Island Estate in the early 19th Century. 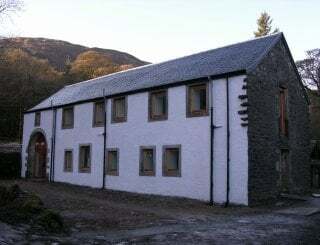 The Lodge was acquired by a community-owned company after the local community bought out the estate in 2005, and is now being managed and developed in concert with their economic regeneration efforts. 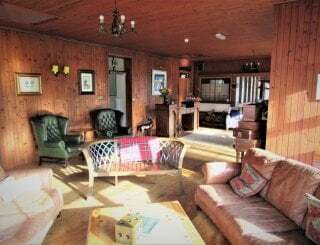 Nevertheless, the Lodge still provides a taste of the Highland Laird experience: mixing a traditional island experience with the renowned Hebridean hospitality. Our catering makes use of the world-renowned Outer Hebridean cuisine, including lobsters, scallops, venison, salmon and more. 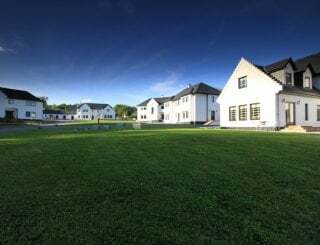 Lovers of wildlife and the outdoors will never want of things to see and do, as the Lodge is located in minutes walking distance of both a nature reserve and a mile-long white sand beach, of the kind that the Outer Hebrides is famed for. 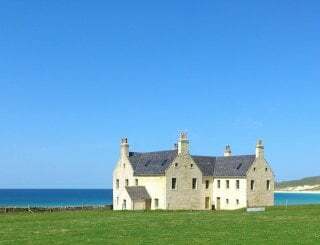 We also can arrange for salmon and trout fishing as well as a few rounds at the world-famous Askernish Golf Course. The island is a stronghold of the Gaelic language. You are sure to hear it being spoken when visiting the shops, pubs or cafes. Traditional music plays a central role in many islanders' lives, there are always dances, concerts and recitals taking place somewhere and newcomers are always welcomed to attend. 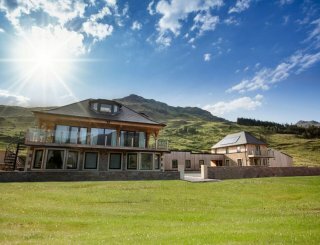 The Lodge itself serves as a perfect venue for ceilidhs, and dances. Fully equipped with gas ovens and hobs, many utensils and specialist equipment. Somewhat industrial but still perfectly suited for self-catering. Space comfortably for 20, has serving area suitable for buffets and breakfast spread. 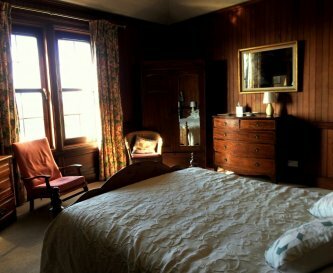 Large but cosy and well furnished drawing room with open fire. 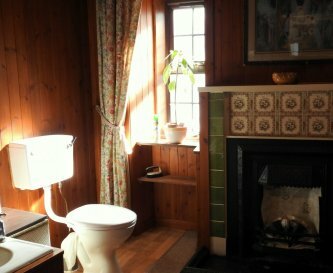 There is also a smaller and more secluded study room, perfect for quiet reading. Piano and Hi-fi. 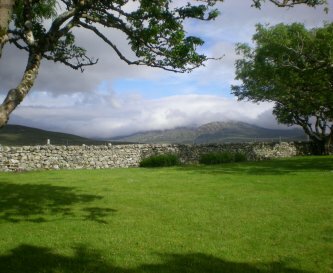 May be able to organise for local traditional band or musicians to play for Ceiligh or just a unique experience of Gaelic culture. WiFi available in study. 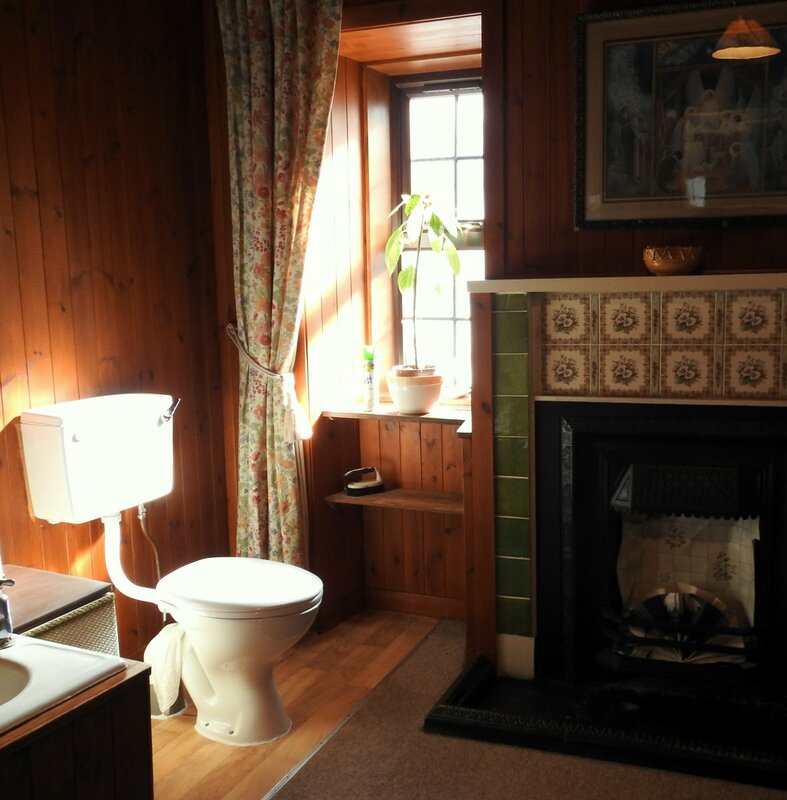 To keep experience authentic to the Lodge's heritage it is unavailable in other rooms. Multi-fuel open fire in Drawing Room, central heating throughout the building. 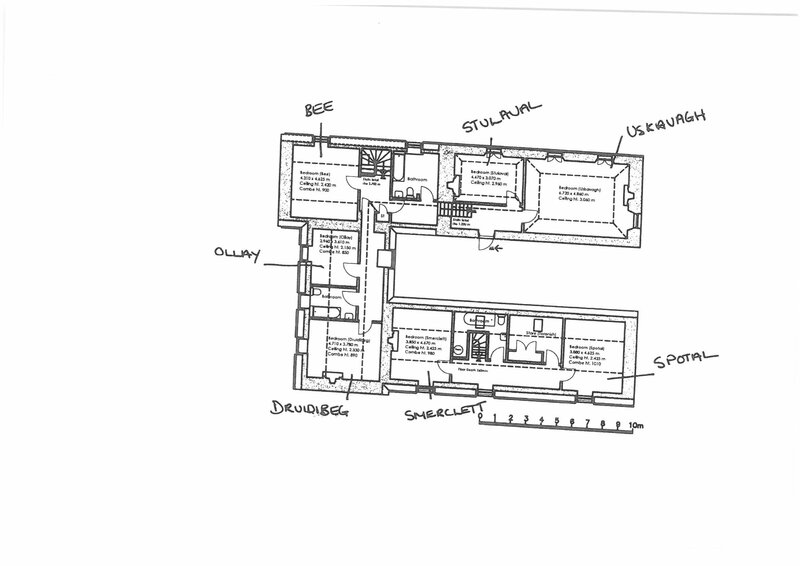 10 bedrooms: 6 twin and 2 double. Each are varied and unique: named after local lochs. 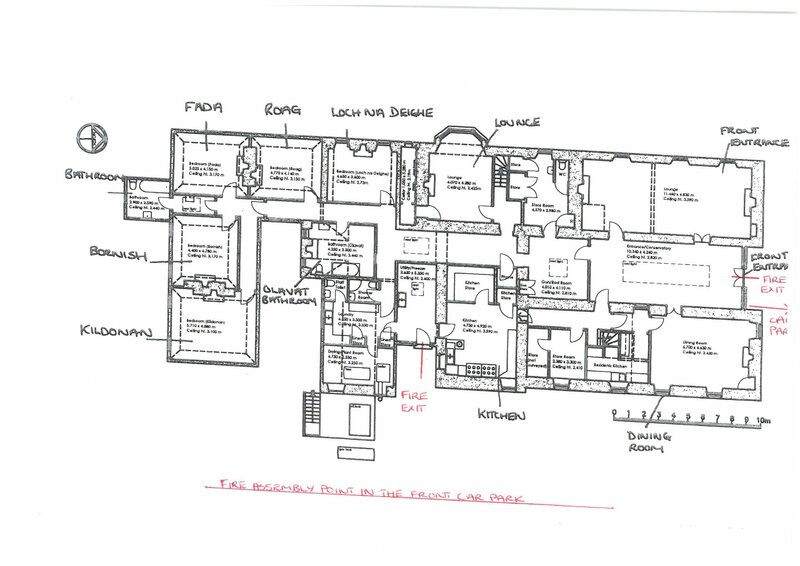 5 bathrooms, large but not en suite. 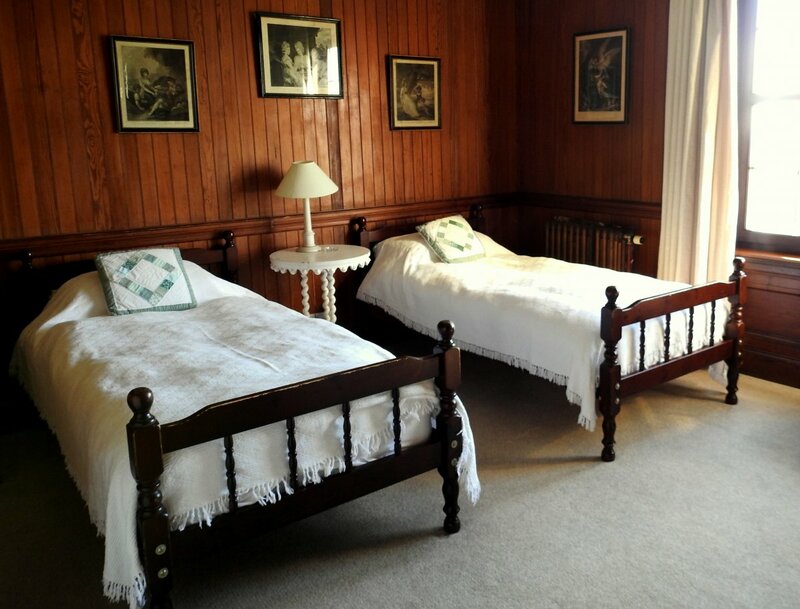 There are bedrooms and bathrooms located on the ground floor, however specific facilities for disabled persons are not present. Fishing, country sports and golf packages available. Large, well maintained garden. 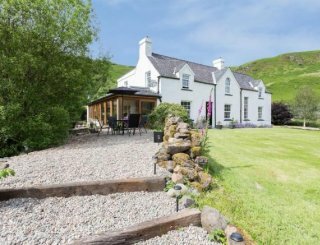 Nearby beach, hills, lochs, nature reserve all freely accessible. Parking comfortably for 6 vehicles, more space available if required. Large kennels available for night time. Pets allowed in hall and drawing room: not in bedrooms, kitchen or dining room. 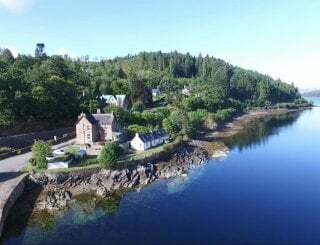 Grogarry Lodge is located in minutes walking distance to a nature reserve and a beach that is over 20 miles long. 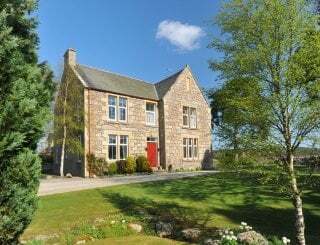 Perfectly located for hill walking, fishing, cycling, wildlife spotting and more. 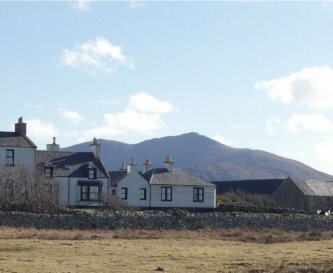 Balivanich (10 miles), Daliburgh (15 miles). Creagorry Co-op (6.5 miles), Lovats supermarket (3 miles). Orasay Inn (4.5 miles), Stepping-Stones (10 miles). A number of seafood outlets and a well-renowned salmon smokehouse are located nearby. 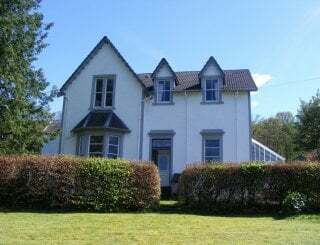 £3500 for self catering per week. 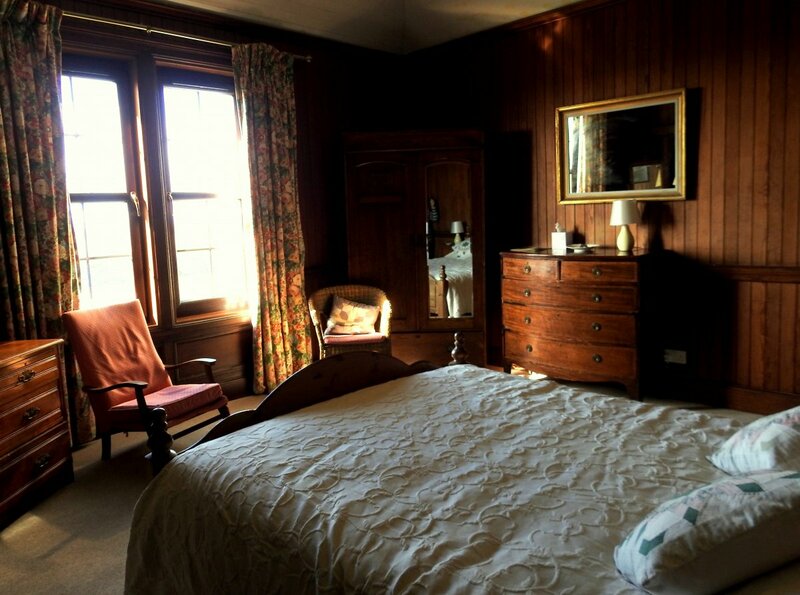 For fully catered we charge £120 per person per night for a minimum of 6 people and a maximum of 16. If booking for a group of less than 10 persons, the lodge may be let to multiple groups. Above 10, the lodge is exclusive. 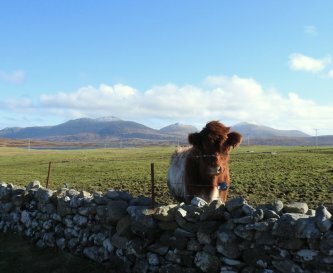 Catch a train to Mallaig or Oban on the mainland from where you can get a ferry to Lochboisdale, S.Uist (15 miles from Grogarry). A ferry is also available from Uig, Skye to Lochmaddy in N. Uist. There is a frequent bus service that travels north and south of the island. Drop off can be requested at or near the entry road to the Lodge. 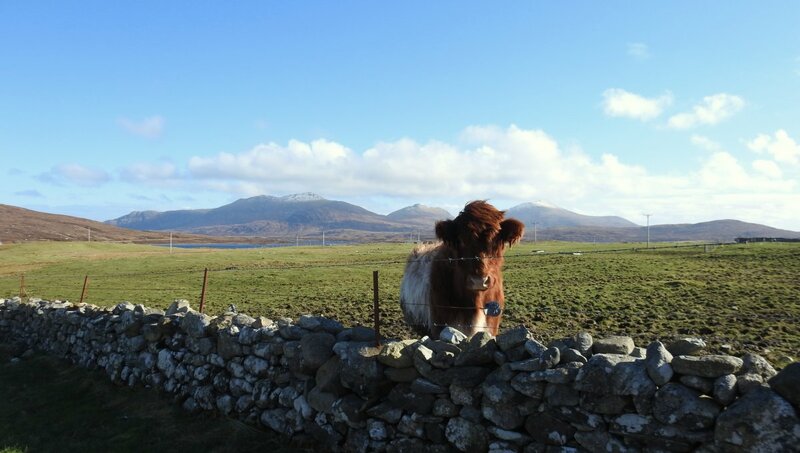 Benbecula Airport (10 miles), Barra airport (beach landing) (20 miles incl. car ferry).